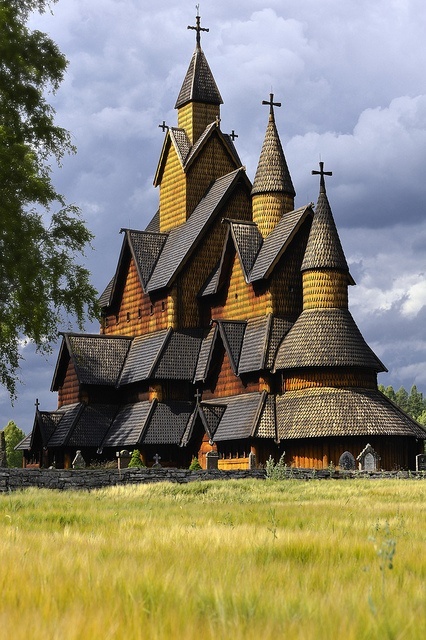 The church is a triple nave stave church and is Norway's largest stave church. It was constructed at the beginning of the 13th century. After the reformation the church was in a very poor condition, and a restoration took place during 1849 - 1851. However, because the restorers lacked the necessary knowledge and skills, yet another restoration was necessary in the 1950s. The interior is marked by the period after the Lutheran Reformation in 1536/1537 and is for a great part a result of the restoration that took place in the 1950s.